1. Articles not published or submitted for publication elsewhere are accepted in either Turkish or English. Manuscript should be divided in to clearly defined and numbered sections. Subsections should be numbered 1.1. (then 1.1.1., 1.1.2., ...), 1.2., etc. (the abstract is not included in section numbering). This numbering should also be used for internal cross-referencing: do not just refer to 'the text'. Any subsection may be given a brief heading. Each heading should appear on its own separate line. o Within each reference or note of any type. o Footnotes and references should be typed with 10 point font. Ø …exhibits increasing returns to scale as in Romer (1989). 6. Equations should be displayed on a new line and numbered consecutively using Arabic number in parenthesis near the right margin. 7. All tables should appear as close as possible to corresponding text. The title “Table” should be placed above the corresponding table, flushed left, followed by an Arabic numeral. A table title should appear flush left on the next line, Title Case, italicized. 8. Figures include all types of illustrations (i.e., graphs, maps, charts, photographs, drawings, etc.). A figure should be labeled “Figure” and appear flush left below the figure, followed by an Arabic numeral and period, all in italics. The caption and/or legend, a concise explanation of the figure and/or the symbols used, appears after the figure label, flush left. Barro, R. and X. Sala-i-Martin (1995). Economic Growth. New York: McGraw-Hill. Barro, R.J. (1991). Economic growth in a cross-section of countries. 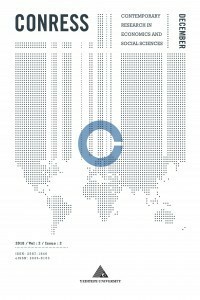 Quarterly Journal of Economics, 100(2), 407-443. Gourinchas, P.O. and O. Jeanne (2013). Capital flows to developing countries: The allocation puzzle. Review of Economic Studies, 80(4), 1484-1515. Choong, C.K., Baharumshah, A. Z., Yusop, Z. and M.S. Habibullah (2010). Private capital flows, stock market and economic growth in developed and developing countries: A comparative analysis. Japan and the World Economy, 22(2), 107-117. Romer, P. (1989). Capital accumulation and the theory of long-run growth, in R. Barro, Ed., Modern business cycle theory. Harvard University Press, Cambridge, Mass. Favara, G. (2003). An empirical reassessment of the relationship between finance and growth. International Monetary Fund Working Paper Series, WP/03/123, 1-46. Gheeraert, L. and J.M. Mansour (2005). On the impact of private capital flows on economic growth and development. CEB Working paper 05/003, Centre Emile Bernheim, Research Institute in Management Sciences.